Trik is drone enterprise software that enables engineers to monitor and inspect structures in 3D. With the drones able to easily scan buildings, it offers us the opportunity to turn these photos into a 3D digital twin of the asset and allow users to track structural changes over in 3D over time. 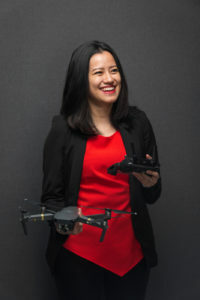 Pae Natwilai, founder and CEO of Trik. What are your thoughts on BIM and how Trik fits in? My main take is that BIM is an amazing concept that can drastically enhance collaboration, improve margin and manage risk. However, the way people implement BIM or think of BIM is not practical at all. With BIM, the main headache is the fact that you must create the 2D or 3D model of your building from scratch and mapping any data to this model is done manually. This is a very time-consuming and expensive task which is not practical at all. It is also a very specialist software so not everyone within the construction industry knows how to use it. If you want to have a truly good BIM system, it needs to be something that anyone in the construction industry can use from workers to engineers, project managers and asset owners. The industry needs something that is simpler to understand and easier to use and this is the reason for Trik. Within Trik, the 3D model acts as a file directory. 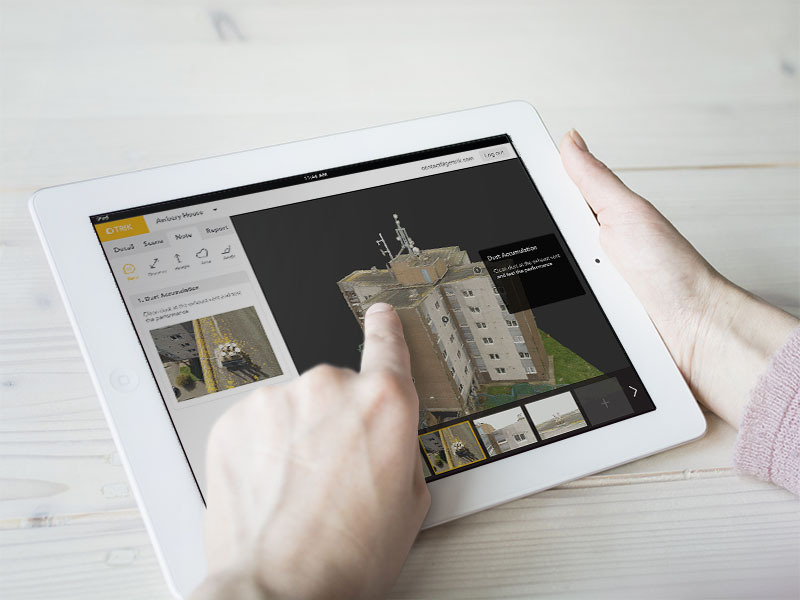 You can easily attach comments, measurements, or files directly to the 3D model and click on the 3D model to search for the relevant file you are looking for. It also has an assertive system that helps people label data 90% faster, so they don’t need to do everything manually. We structure all data in 3D, also making it comparable through time, so any machine learning we do, not only detects defect and risk, but can also learn from experience to predict future trend. The core concept of our solution is similar to BIM, but I think ‘Digital Twin’ could represent the solution in a much more precise way. Digital twin is a concept well known in other industries, not only in construction world. How did you get involved with Geovation? While Trik had been established for around 3 years, I had known a couple of people in Geovation for some time. I decided to apply and Trik was accepted into the Geovation program in the beginning of 2018. How has the Geovation Hub helped your business? We have a lot of companies wanting to use our software in multiple fields from mapping the whole town (with a world leading airplane company) to 3D scans human bodies, and Geovation has helped us learn what deal to take and what to drop. In such early days and with limited resource, Head of Geovation Alex has helped us select what to focus on and what strategy is required to close deals. We have been collecting a lot of data in the past decade and increasingly more of these datasets are location-related (GPS). As space is more and more compacted, we will start seeing a lot more vertical development such as drones, high rise complex, underground and underwater structures. The current potential of the geospatial sector is already big but, as space is limited, we will see a huge expansion and breakthrough of new innovation in geospatial that will massively double or triple the potential in this sector very soon. Next for us is scaling up the system and marketing it globally. Through Geovation we have grown our team significantly and managed to secure pre-seed investment from 2 amazing investors, Alex Chesterman the founder of Zoopla and Simon Franks, founder of Lovefilm. Additionally, we are currently finalising a deal with a couple of large engineering enterprises both in the UK and internationally. We will start fundraising again in the beginning of 2019 for a second round of growth and global marketing. 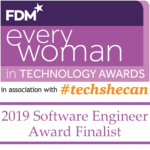 We’d like to take this opportunity to congratulate Pae for being named a finalist in the 2019 FDM everywoman in Technology Awards! Find out more about Trik and keep up with their latest news.